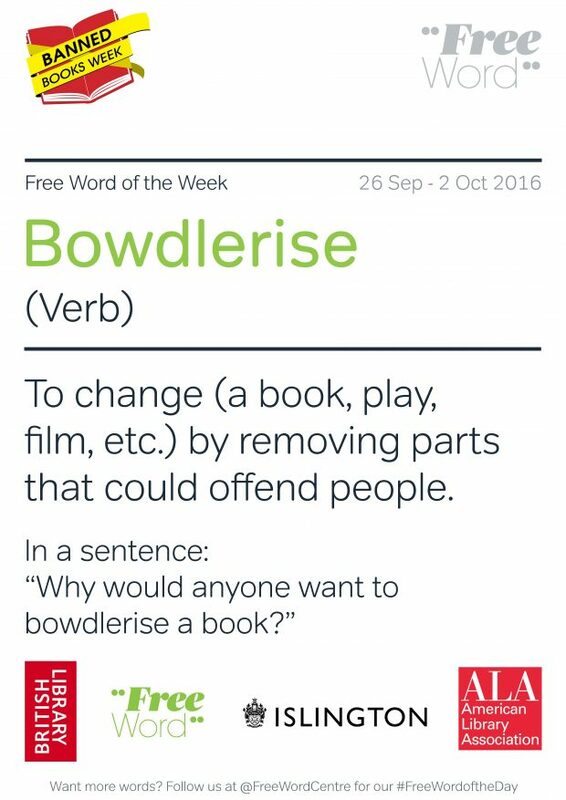 Islington libraries have have been working with The British Library and Free Word on this year’s Banned Books Week. They are drawing attention to censorship and free speech, working alongside the American Library Association. 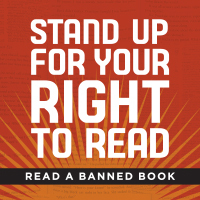 Banned Books Week was launched in 1982 in response to a sudden surge in the number of challenges to books in schools, bookstores and libraries in the US. Since then, according to the American Library Association, more than 11,300 books have been challenged. “Bookshops around the US are planning events and author readings to mark Banned Books Week, which has been running since 1982. This year, for the first time in the UK, the British Library, the Free Word Centre and Islington council in London are also coming together to promote the week. Reading groups and book clubs will be promoting a list of 40 books that have been subjected to calls for censorship, from JK Rowling’s Harry Potter books to Toni Morrison’s Beloved, while the British Library is holding an evening of discussion about censorship, featuring the controversial young adult novelist Melvin Burgess. There will be Banned Books promotions at Central and Finsbury libraries during the month. The Reading Agency will be using the booklist to encourage reading/book groups to get involved across the country through their Reading Groups for everyone website. The 2016 celebration is being held from Sunday 25 September until Saturday 1 October. On 22 September the British Library launched Banned Books Week with the event ‘Censorship and the author’. For a list of Frequently Challenged Books you can visit: http://www.ala.org/bbooks/frequentlychallengedbooks. Take a look at the Guardian’s gallery of the 10 most challenged titles. The team in Islington have also been in contact with the American Library Association and they have included us in their press release. The British Library and the ALA will be blogging about Banned Books and censorship throughout the week creating a unique International conversation. To read more about Banned Books Week please visit: http://www.ala.org/bbooks/bannedbooksweek.